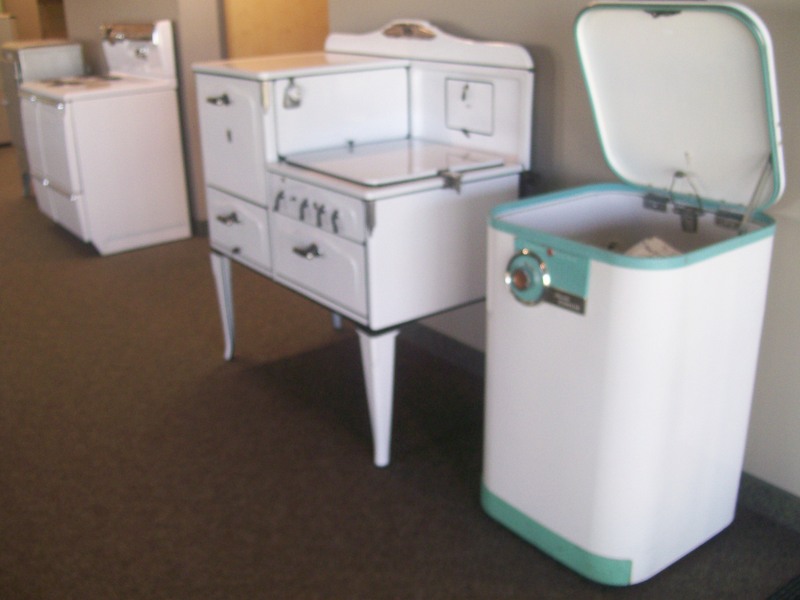 More vintage appliances in the guest area, originally uploaded by Warners’ Stellian. I grabbed my cousin’s camera and snapped a few (not-so-good) photos of our vintage appliance collection here at our corporate office and posted them to our Flickr account. I’m pretty sure we have a few more pieces sprinkled at our retail stores and as soon as I get a chance, I’ll take some pictures of those and post them. Over the years, we’ve gotten these pieces as gifts or from customers who no longer wanted them (can you believe it? ), etc. I know our Twitter friend StuccoHouse has at least one vintage piece. I’d love to see others’ pictures of vintage appliances – in use or on display! I just love to reminisce, and thanks for giving me the opportunity here with those amazing photos! Followed link from succo house. Looking for local Twin Cities repair for 1959 General Electric wall oven. Center Point came out to fix it last Fall and said the parts for the broiler/upper coil are no longer made/available. Imagine after only 50 years! My kitchen was owned by former General Mills Betty Crocker test kitchen employee in the 1960’s. Yellow oven and cooktop match my 1950’s kitchen chrome table. Help! Anyone know of local parts/repair for vintage stove?